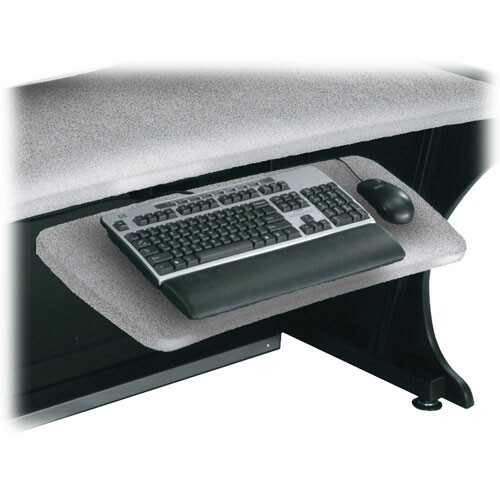 The Keyboard Shelf for LD LCD Monitoring/Command Desk from Middle-Atlantic adds a keyboard shelf to the LD series LCD Monitoring/Command Desk series of furniture. The articulating shelf is fully adjustable, and includes an integrated wrist-rest for ergonomic typing. Box Dimensions (LxWxH) 32.75 x 13.5 x 6.5"